Our 2016 U.S. Open Edition of The Grain is packed with our usual grab bag of goodies to enhance your enjoyment of our annual championship. David Barrett offers his strategic analysis of the testing Oakmont course, while Tom Bedell suggests a half-dozen resorts to visit when considering a strategic retreat from Pittsburgh. Considering the difficulty of Oakmont, “From Bold to Buttoned Down” contemplates what actually goes into choosing a site for the Open. 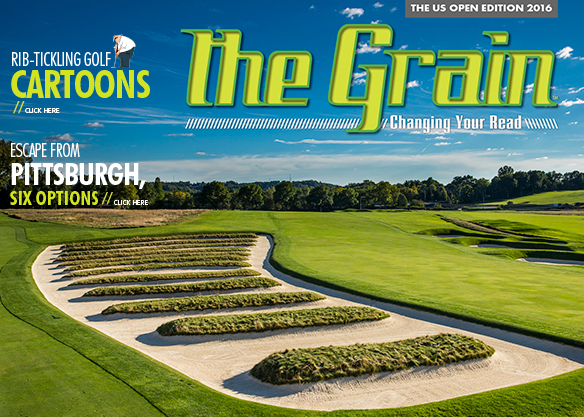 And editor David Gould leafs through the pages of history to examine the connection Oakmont has with Carnoustie in Scotland, through a steady stream of pros who have crossed the pond to the classic Pennsylvania course. 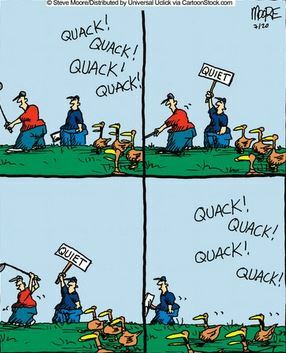 When it’s not breaking our hearts, golf can be a pretty funny game, and Steve Moore delves into both facets in some of his cartoons. We dangerously delve into what makes them funny. As Father’s Day beckons, Jeff Wallach offers a touching of portrait of his late dad, and their emotional bond with the game and each other. And once again we have a guest video appearance from Travis Fulton, the Director of Instruction for all the TOURAcademy locations nationwide, that will give you a good drill to help eliminate the slice off the tee. Enjoy the Open, with all the features from The Grain.